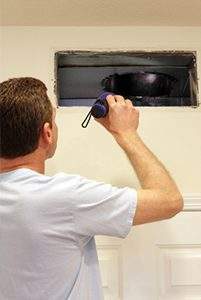 Are you looking for an affordable Air Duct Cleaning Cost? Air duct cleaning is one of the major components to maintaining a healthy and safe home environment for your family. 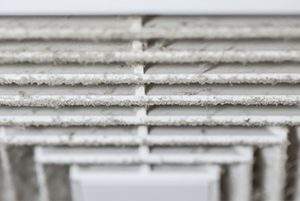 Ignoring to do so will cause mold growth, musty odors, and poor HVAC system performance, in addition to causing several health problems such as respiratory issues and allergy symptoms. We at Air Purification Technologies, are a team of professional air duct technicians that possess abundant knowledge and training to maintain your duct system properly to ensure that you enjoy the benefits of clean and healthy air. 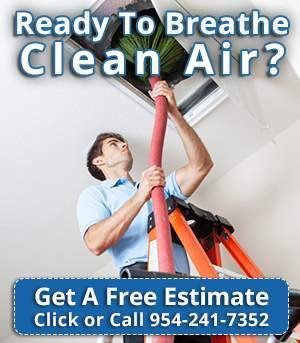 Air Purification Technologies provides air duct cleaning services throughout Florida area and helps improve your indoor air quality by eliminating airborne contaminants so you can breathe easy. Our technicians are fully licensed, trained, and insured and have the skills, experience, and tools to clean your air duct and HVAC systems efficiently. Improve the air quality in your home with a convenient and quick air duct cleaning service from Air Purification Technologies. We have necessary skills and tools to ensure that the air in your home does not contain hazardous elements that may cause allergic issues or respiratory illness. At Air Purification Technologies, we pride ourselves on our high levels of customer satisfaction and outstanding customer service. Our technicians have been recognized for excellent service numerous times by consumers. We are passionate about healthy and clean home environments, and we are committed to offering a service that continues to exceed your expectations. We specialize in residences, commercial, and industrial areas of duct cleaning. With our latest tools and high-quality equipment, we are able to provide the best residential duct cleaning service in Florida. Our air duct cleaning system has the power to remove debris and dirt that has accumulated in your ducts. Furthermore, we specialize in cleaning the entire HVAC system, including heat exchangers, fans, AC coils, and all ductwork. We also clean registers and returns. We assure you that after we are finished doing our work at your home, your HVAC equipment will be running more efficiently, and you will be breathing easier. Air Purification Technologies offers professional commercial duct cleaning service in Florida and the surrounding areas. We use specially designed equipment to clean your ductwork efficiently, and we can also clean your HVAC equipment systematically. Ensuring clean air can help reduce sick time and improve the working environment of your business. Apart from duct cleaning, we also sanitize your HVAC equipment using a natural cleaner that is effective and non-toxic. This cleaner kills mold and bacteria that may be circulating in your ductwork. Air quality can make a huge difference in both employee health and operation of your business in the industrial setting. Some businesses have need of a production environment that is free of pollutants, and that is a specialty of Air Purification Technologies. We use HEPA filter negative air unit and truck-powered vacuum systems to make sure that no debris or dust is reintroduced into the air. We offer regular duct cleaning services for industrial areas and also offer detailed air quality testing service. Give us a call for any questions regarding duct cleaning, and for scheduling your FREE estimate! 954- 241-7352.